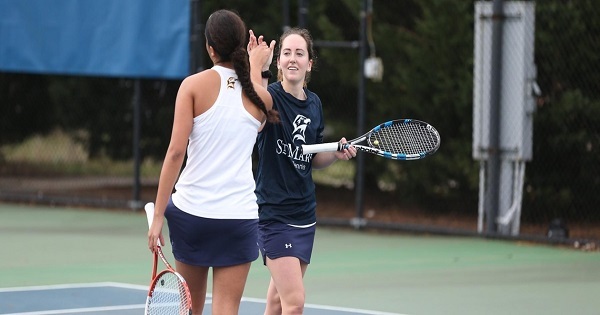 FREDERICKSBURG, Va. – St. Mary’s College of Maryland women’s tennis was selected to finish sixth in the 2019 Capital Athletic Conference Preseason Poll, the league announced today (Feb. 7). Mary Washington was once again chosen as the preseason favorite in the 2019 CAC Women’s Tennis Preseason Coaches’ Poll. 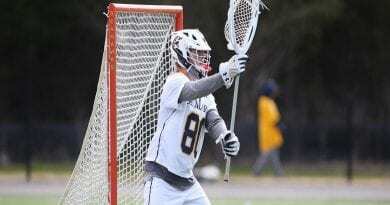 The Eagles, who carry a 15-year CAC Championship streak into this spring, received all seven eligible first-place votes and 49 points to land atop the poll. St. Mary’s (20 points), Penn State Harrisburg (12 points), and Frostburg State (10 points) rounded out the eight CAC teams in the coaches’ poll. St. Mary’s is looking to build off of their 8-7 overall and 2-5 CAC record from last season. Claire Bodine and Alden Grosh are the two lone returners from last year’s squad and will look to help newcomers Jackie Agyemang, Baudratte Djiogo, Marianne Hershey and Sophie Nuwar. St. Mary’s will open their spring season on Feb. 24 as they travel to Ashland, Virginia to take on the Yellow Jackets of Randolph Macon College. The CAC Tournament will begin Saturday, April 27, with the championship match slated for Friday, May 4.